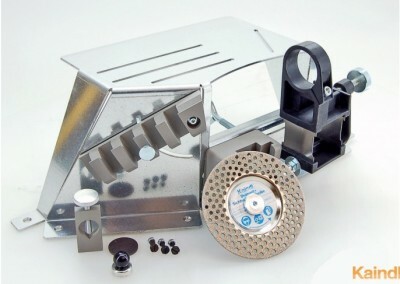 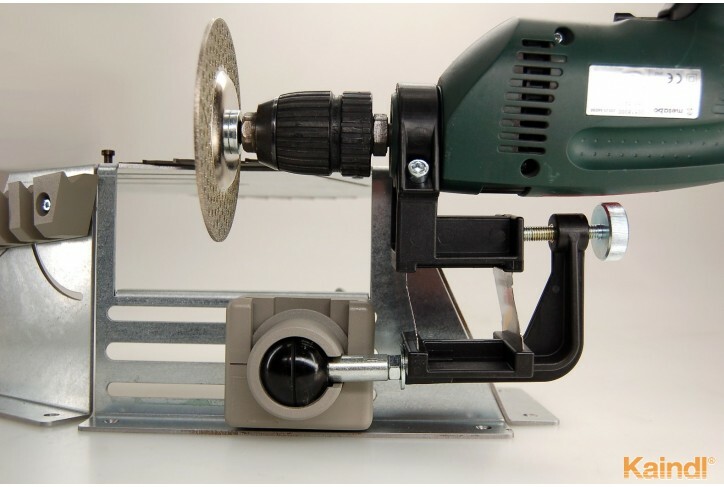 The new sharpening Platform offers a genuine alternative to bigger and considerably more expensive machines. 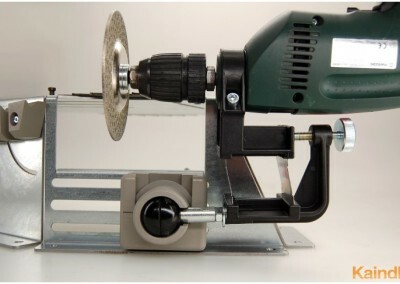 Due to it’s new and worldwide unique conception, it is possible to sharpen many different drills and saw blades. 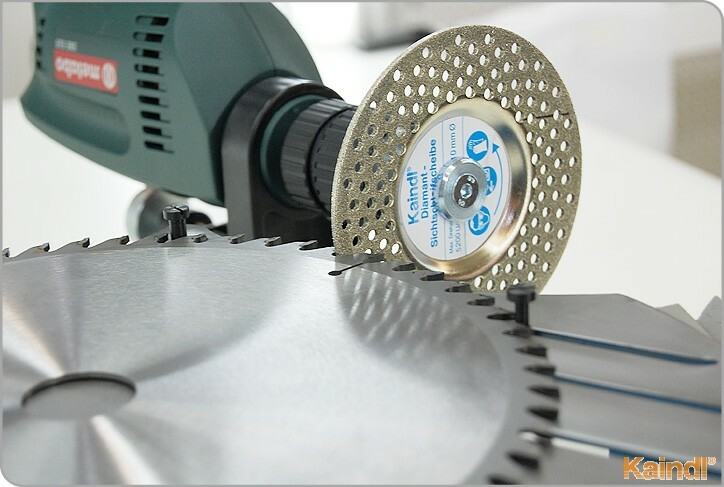 Saw blades made of HSS, Chrome-Vanadium (CV) or carbide tipped are sharpened with a very high precision, whatever the diameter or tooth pattern. 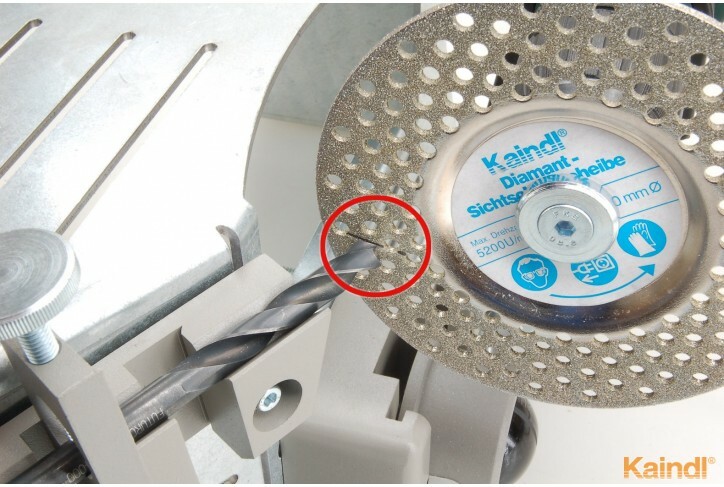 HSS and carbide drills up to 16mm are sharpened with the four facet shape, which is favoured by DIY enthusiasts and craftsmen. 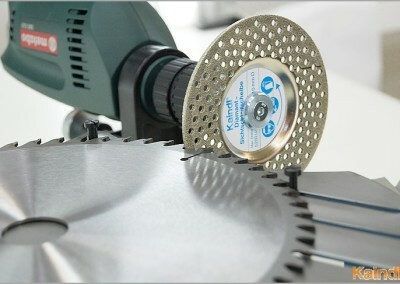 This shape facilitates drilling on flat or rounded surfaces. 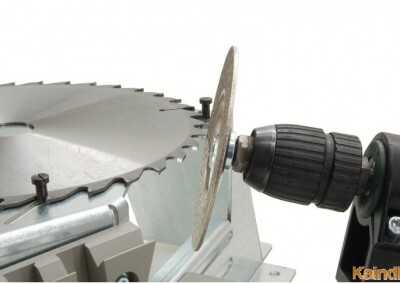 Webb-thinning becomes unnecessary. 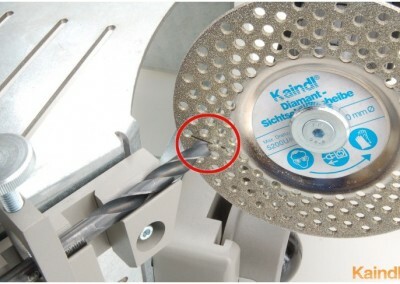 The patented grinding wheel is diamond-coated on three sides and has cooling holes. 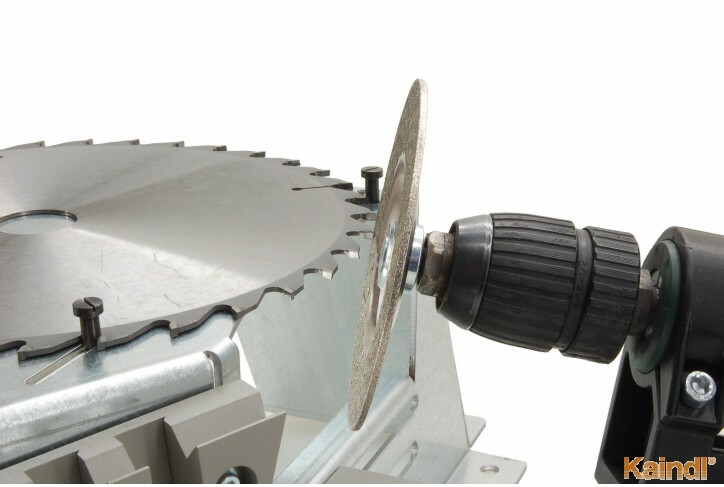 Burning (loss of hardness) of high quality cutting tools is therefore practically impossible.